Lendahand Ethex, the leading online positive impact investing platform and BBOXX, a next generation utility, have announced today the start of a new Energise Africa partnership accessing for the first time, flexible finance from the UK crowd. 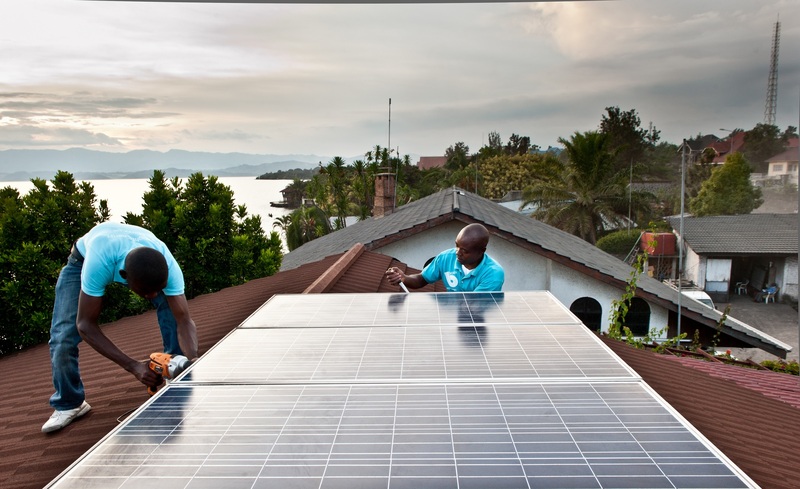 The initiative aims to raise £2.5m in total through a series of smaller investment offers, allowing BBOXX to extend its roll out of life changing solar systems across Rwanda, Togo, Democratic Republic of the Congo and Nigeria. The first offer, launched today, enables BBOXX to raise low cost inventory finance directly from Lendahand Ethex's growing base of socially motivated impact UK based investors, with the goal of providing 2,500 rural Rwandan households with life changing solar systems. UK aid will be providing matched funding of 25% of the campaign value to boost the impact of UK social impact investors. Energise Africa was launched last year with financial support from UK aid and Virgin Unite with the objective to accelerate progress towards the achievement of the UN agreed Global Goal 7 - to ensure access to affordable, reliable, sustainable and modern energy for all by 2030. Lack of energy access in sub-Saharan Africa is a significant problem, with more than 600 million people currently without mains electricity supply. In Rwanda, 9.5 million people or 81% of the population cannot access mains electricity, which has a negative impact on quality of life and limits people's chances of achieving economic prosperity. BBOXX is helping to address this issue by providing off-grid communities in Rwanda and other sub-Saharan African countries with smart, affordable and clean energy solutions. BBOXX customers typically pay around £3-5 per month on a Pay-As-You-Go basis and this payment method offers more access to people who are able to have electricity at home at a price they can afford. To date BBOXX has installed more than 150,000 systems and provided around 750,000 people with access to energy. The company is driven by a vision to provide clean, reliable energy to 20 million people by 2020. "At BBOXX we are dedicated to exploring innovative ways to finance the scaling of our business - enabling us to provide even more people with affordable, clean energy. Working with Lendahand Ethex as crowdfunding via their Energise Africa campaign represents an exciting mechanism to help us access critical finance to achieve our objectives. This raise is part of the first credit facility of many, which is likely to result in up to £10 million of retail investment over the next few years, providing an estimated 100,000 households in Africa with access to clean and affordable energy," said Mansoor Hamayun, CEO, BBOXX. Energise Africa makes it simple and straight forward for eligible retail investors through to more experienced investors to invest in solar businesses that can deliver a clear social, environmental and financial return. The first Energise Africa project for BBOXX will focus on Rwanda and aims to raise £250,000 of investment in order to provide clean energy to 2,500 families. Investors in this BBOXX bond offer will also generate a potential annual return of 5% over a 36-month period and these returns can also be held tax free within an Innovative Finance ISA. Capital is at risk and returns are not guaranteed. We are really excited to be working with BBOXX, connecting them with our growing UK retail investor base who are motivated to make investments to support the acceleration and achievement of UN Sustainable Development Goal 7 - universal access to affordable, reliable, sustainable and modern energy for all by 2030," stated Danny den Hartog, Managing Director Lendahand Ethex. "One of the main inhibiting factors to increasing solar energy access in sub-Saharan Africa is the availability of competitive finance with a current funding gap of $2.5 billion. Through Energise Africa we are providing solar businesses with an alternative low-cost finance option that ultimately creates a win for our investors, a win for the solar businesses and a win for African families," Danny further explained.